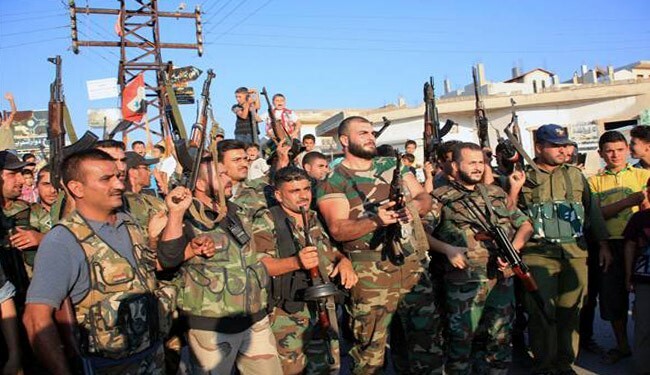 JNN 14 Aug 2014 Damascus : Hundreds of foreign-backed militants surrendered to the government troops in Al-Qalamoun region in Damascus countryside, Syria’s National Reconciliation Committee announced on Friday. Over 1,200 terrorists laid down arms and surrendered to the Syrian authorities late Thursday, the Syrian local sources also confirmed. The militants also turned over their cache of ammos to the authorities, both sources added. Assad said even those who have fought the Syrian army will be pardoned. This was the third general amnesty declared by President Assad in the last four years. Hundreds of gunmen have been laying down their weapons and turning themselves in to authorities in areas across the country. This number seems to be on the rise as the army has been making steady gains in the battlefield against the terrorist groups, recapturing an increasing number of areas, including strategic sites, which helped cut off many of the militants’ supply routes and forced them to surrender or run away. Several groups of militants have surrendered to the Syrian army in the Damascus Countryside in the last several months. The last one of such groups gave in to the authorities in the region in mid February. This entry was posted in Middle East and tagged Damascus, damascus countryside, militants, Militants Surrender, National Reconciliation Committee, President Bashar al-Assad, Surrender, Syrian Army, syrian authorities, Terrorist Surrender. Bookmark the permalink.